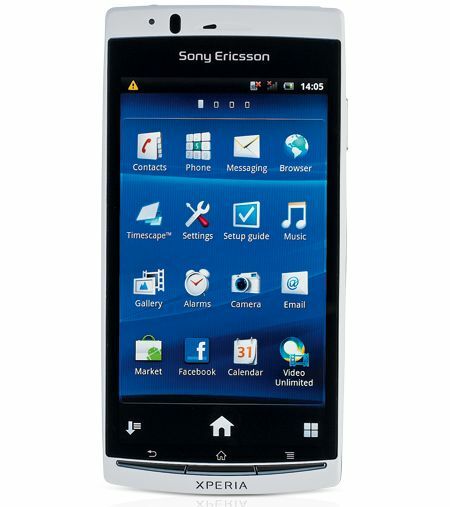 Sony Ericsson Xperia Arc S review | What Hi-Fi? Sony Ericsson isn't a name that springs to mind when it comes to smartphones. We've liked what we've seen, with Sony using its Walkman pedigree to bill its mobiles as music specialists, but they've not set the world alight. With the Arc S, the company hopes to change that, and is harnessing its video expertise, courtesy of the Bravia TV engine. Or should we say, the 'Reality Display with Mobile Bravia Engine'. Silly name, but the 4.2in, 854 x 480 LED-backlit screen means business. Text is sharp, there's impressive contrast delivering real depth, and colour is spot-on. The 1.4GHz processor and 512GB of RAM is nothing to write home about, but the Arc S is no slouch, and it's a similar story with Android 2.3. There's just 1GB of internal memory, however, so you're forced to rely on an SD card for storage. Maximising the AV functionality there's an HDMI output, DLNA streaming and even the ability to shoot 3D photos using the clever 8.1MP camera. You'll need to connect to a 3D TV to see them and we found the technique a bit tricky, though. A big bonus is access to Sony's Music and Video Unlimited services. The former offers streaming for a monthly fee and a music store, while the latter delivers videos to rent. There's a better supply of music than video, but it's early days. Android Market has you covered for apps and games – why Sony Ericsson chooses to also add its own store with a handful of apps, we don't know. The phone feels slim but solid – similar, but arguably better, than the Samsung Galaxy S II. The screen takes up most of the room, with four shortcuts either side of the main menu button at the bottom. There are also three small, slightly fiddly keys – back, home and settings – on the handset itself. The screen looks great when browsing the web, with Flash support ensuring a complete experience. It looks crisp and colourful, and while it isn't as speedy as some, you'll have no complaints. of a smart flatscreen TV. It really is an excellent video player, with only the fastest motion causing some complaint. Music isn't far behind: it isn't quite as detailed as the best about, but it's still pleasingly punchy and full-bodied. Light, stylish, feature-packed and with excellent performance: we're impressed. But for its good-but-not-great audio and strong rivals, this would be five stars.